Asus Pegasus X005, company’s best budget smartphone appeared on Chinese certification site TENNA with images and specifications which expected to launch in Q1 priced approx. Rs 10,000. It’s rivals are Lenovo K3 Note, Xiaomi Redmi Note Prime and Micromax Canvas 5. 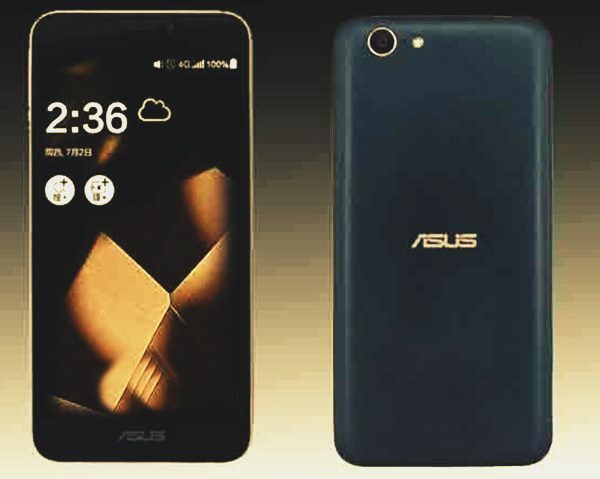 According to listing upcoming Asus Pegasus X005 supports 4G LTE smartphone supports Dual-SIM(4G+2G) with Dual SIM flexibility at warp-speed offers connectivity through 4G TD-LTE, Wi-Fi, Wi-Fi direct, GPRS/ EDGE, GPS/ A-GPS, Bluetooth 4.0 with A2DP, and Micro-USB comes with a 5.5-inch Full HD display with resolution (1080×1920 pixels) delivers stunning colour consistency from almost any angle perfect for watching movies, playing games and reading e-books. Asus Pegasus X005 runs on Android 5.1 Lollipop OS with ZenUI on top and powered by a 64-bit Octa-core Qualcomm Snapdragon 615, 1.3GHz processor processor with 3GB RAM makes multitasking a fun, gives immersive game environments and reducing power usage and heat while 16GB internal Memory and 32GB expandable memory is the store house of your favourite data. Asus Pegasus X005 combines dual-powerful camera for shooting which includes a 13-MP rear camera with Tripal LED flash and 5-MP front facing camera for clicking selfies and making video call. It also includes a powerful 3030mAh battery with enhanced battery life measures 155×76.4x9mm and weight 177gm. While it’s predecessor Asus Pegasus X002, Asus Pegasus 2 Plus is available in China but yet to launch in India. Asus Pegasus X002 launched priced at CNY 799 in China on 23rd Dec. Tuesday in Black, White, Red and Gold. Asus Pegasus X002 supports Dual-SIM(4G+2G) with Dual SIM flexibility at warp-speed offers connectivity through 4G TD-LTE, Wi-Fi, Wi-Fi direct, GPRS/ EDGE, GPS/ A-GPS, Bluetooth 4.0 with A2DP, and Micro-USB comes with a 5-inch HD display with resolution (720×1280 pixels) runs on Android 4.4 KitKat with ZenUI on top and powered by a 64-bit quad-core 1.5GHz MediaTek MT6732 processor with 2GB RAM, 16GB internal Memory and 64GB expandable memory combines a 8-MP rear camera with LED flash and 5-MP front facing camera for clicking selfies and making video call. It also includes a 2500mAh battery with enhanced battery life measures 146x73x9.9 mm and weight 140gm. While The all new Asus Pegasus 2 Plus supports 4G LTE smartphone supports Dual-SIM(4G+2G) with Dual SIM flexibility at warp-speed offers connectivity through 4G TD-LTE, Wi-Fi, Wi-Fi direct, GPRS/ EDGE, GPS/ A-GPS, Bluetooth 4.0 with A2DP, and Micro-USB comes with a 5.5-inch Full HD display with resolution (1080×1920 pixels) runs on Android 5.1 Lollipop OS with ZenUI on top and powered by a 64-bit Octa-core Qualcomm Snapdragon 615 processor processor with 3GB RAM, 16GB/32GB/64GB internal Memory and 64GB expandable memory combines a 13-MP rear camera with Tripal LED flash and 8-MP front facing camera for clicking selfies and making video call. It also includes a powerful 3030mAh battery with enhanced battery life. At last I would like to say that Asus Pegasus X005 is coming to win the hearts of budget phone lovers. What you think? Please be open to give your view and stay tuned for more updates.